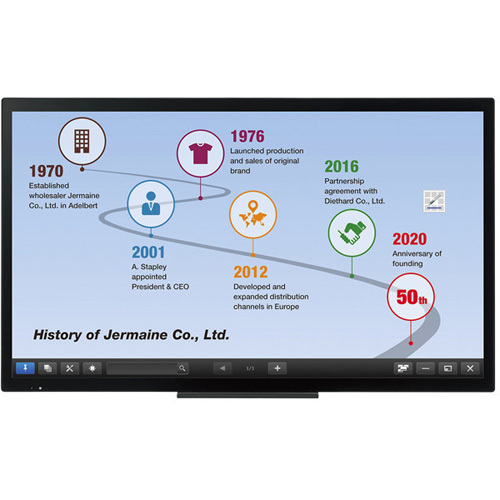 With its 10-point multi-touch functionality and high-sensitivity capacitive touch technology for a precise and smooth pen operation, the SHARP AQUOS BOARD® PN-L501C interactive display shines in a variety of roles and locations. Whether installed face-up or in a landscape or portrait orientation, it excels as an interactive information interface. Not only is it a powerful meeting tool, it can also be used to engage and inform people in stores, museums, showrooms and other public spaces.